The place has a nice charm to it. We went there today for lunch. The hummus was great. The veggie sticks were pre cut. So much that we could tell. They looked a little dehydrated. The eggplant ricotta lasagna was alright. Healthy, packed with cheese and shredded vegetables and layered with eggplant. The turmeric chickpea quinoa was simple and healthy. Tasty, not so much. The tofu grilled tasted great. So here’s the deal, the hummus they serve. But they charge you for the veggie sticks. 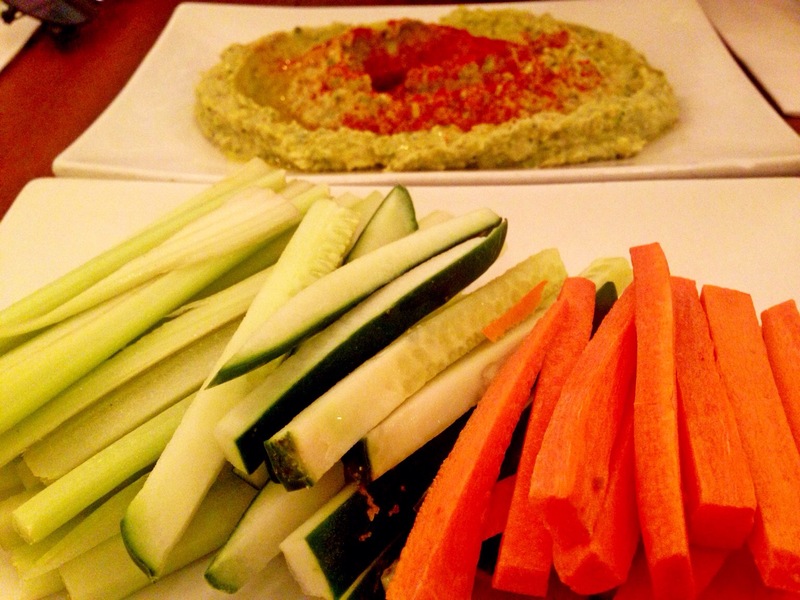 What would we eat the hummus with? I mean I am a big fan of hummus and I can eat hummus with hummus, but how do the others eat it? Priced at 8.5, it’s not the cheapest, and to come without a side makes it more not-so-cheap, doesn’t it? Next up, they charged $5 for the tofu add-on to the quinoa chickpea bowl. Guess the organic prices are transferring to the dishes here. A nice place, good for a one time try.